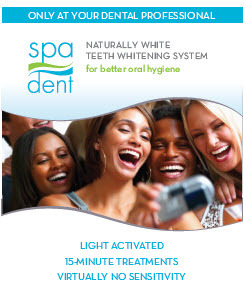 Spa Dent whitening is an easy and convenient way to brighten your teeth 1-2.5 shades in approx. 45 minutes. It is completely safe for your enamel and is the number one whitening system for people with sensitive teeth. 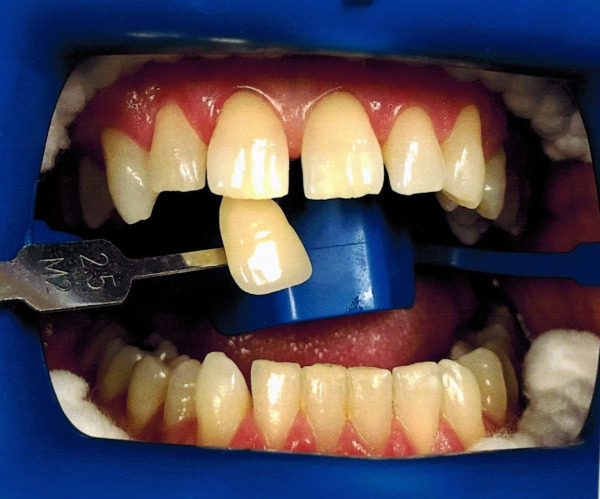 Spa Dent whitening uses a cool blue LED light that activates the product for a faster and longer lasting result. We recommend getting your teeth cleaned before receiving a Spa Dent treatment for best results. What if I have fillings? 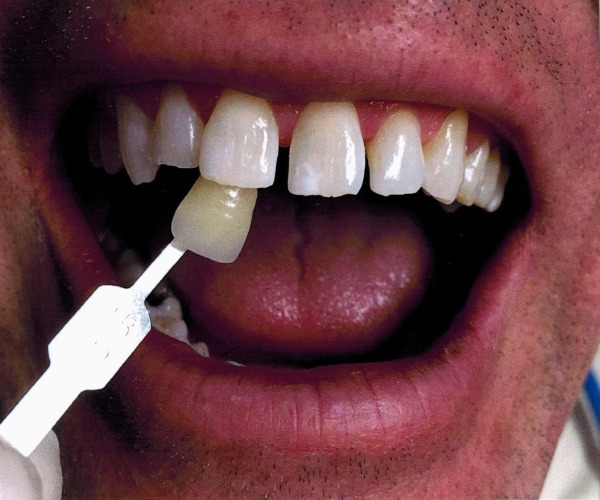 The material used in white fillings does not whiten with any whitening system. 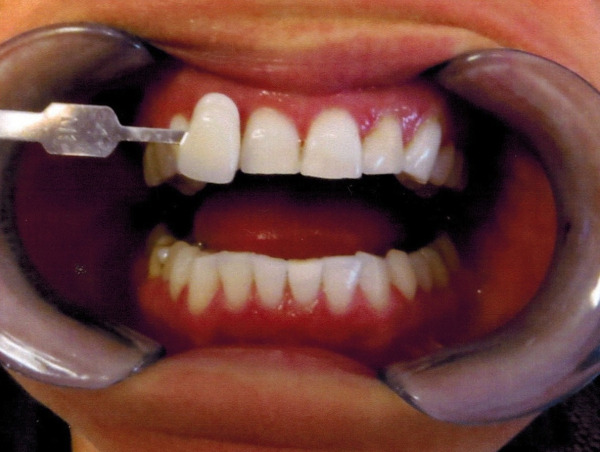 Whitening treatments are generally not recommended if you have a lot of front fillings. Is it safe for crowns? Yes, Spa Dent whitening is safe for crowns and veneers, however, like white fillings, Spa Dent will not change their colour. What should I do after the whitening? After you have completed the Spa Dent whitening it is recommended that you do not eat or drink for at least 30 minutes and try to avoid foods or drinks that would cause staining for 24 hours like coffee, tea, red wine, cola, and berries. How long results last differs from person to person, lifestyle to lifestyle. Typically, people come back from 2 to 9 months after a whitening session for a touch up. ​Zoom whitening is a safe and effective way to get your smile 2-3 shades whiter in a single 1.5-2 hour appointment. The price of Zoom includes up to 4 appointments to get your whitest and brightest smile. What should I do before whitening with Zoom? We recommend that you start brushing regularly with Sensodyne toothpaste two weeks before your whitening appointment to decrease any tooth and gum sensitivity associated with the treatment. In addition to this, we also suggest that you take an Advil or some ibuprofen an hour before your appointment starts to reduce any potential inflammation you may experience. In the case that you do experience sensitivity following the treatment, it should last no more than 1-2 days. 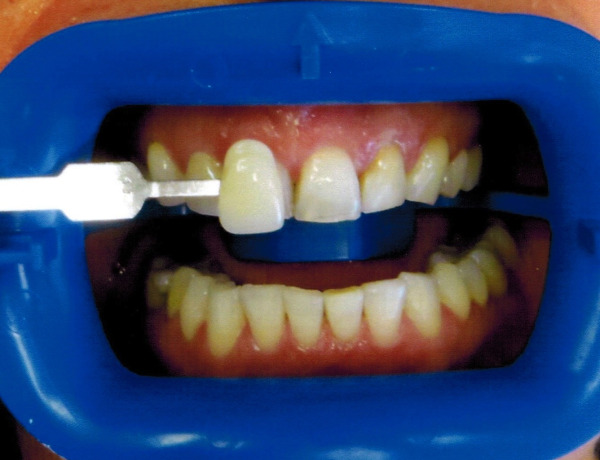 Zoom, like Spa Dent is safe for fillings, crowns, and veneers, but it will not whiten them and is generally not recommended if you have many front fillings. How long Zoom whitening lasts depends on the person and their habits but generally Zoom will last up to a year. Refraining from smoking and eating and drinking things like coffee, tea, berries, and red wine will increase the amount of time that your Zoom results will last. If whitening at home is more convenient for you, we do offer take-home whitening kits. Our take home system does require an office visit to have impressions taken to make your customized whitening trays and to equip you with 3 syringes of whitening gel. From there, you can pick up more syringes as you need them to keep your smile looking bright.